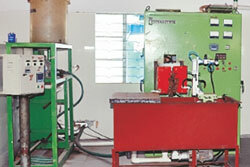 Production Facility | Welcome To Decora Auto Forge Pvt. Ltd.
At Decora Auto Forge a wide range of products made from various materials are developed and produced for gasoline and diesel engines internal combustion engines. 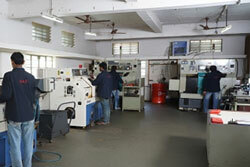 We use many different production facility. 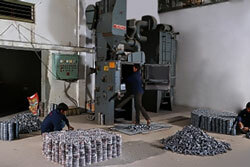 Our objective is to produce our products from as few individual facility as possible, in order to achieve maximum stability with minimum use of materials and weight in our products. We achieve this with our production engineering know-how, which has been developed and continually refined over more than 30 years. 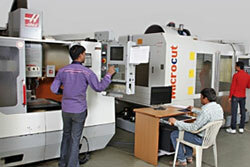 We are using production facilities and process to shape desired customers quality. DAFPL has developed more than 250 different types of Rocker Arm, Roller Tappets, Rocker Arm assembly, Connecting Rod, Valve Guide as well as many other automobile components for two wheelers, four wheelers, heavy commercial vehicles, marine parts, tractor parts, truck parts, and passenger cars. Dist. Rajkot - 360 024 Gujarat - India. © 2017 Decora Auto Forge Pvt. Ltd. All rights reserved. Website Designed and Developed by TrueDesign.